Penn Manor school board members Dr. Rich Frerichs, Chris Straub and Jeff Lyon were honored Monday by the Pennsylvania School Boards Association for their years of service on the board. Frerichs has served for 20 years; Straub has been a board member for eight years; and Lyon has served for eight years. Nathan Mains, PSBA executive director, presented Honor Roll of School Board Service certificates to Frerichs and Straub at Monday night’s school board meeting. Lyon was not in attendance. Mains praised Frerichs for helping mentor him when he transitioned to the executive director’s post while Rich was president of the PSBA board of directors. Mains also pointed out that Penn Manor school board members have a cumulative 101 years of experience serving the Penn Manor community — an incredibly high number. Frerich’s daughter, Melissa Mealy, and granddaughter, Addy, were on hand to witness the presentation. Congrats, gentlemen, and thanks for your service! 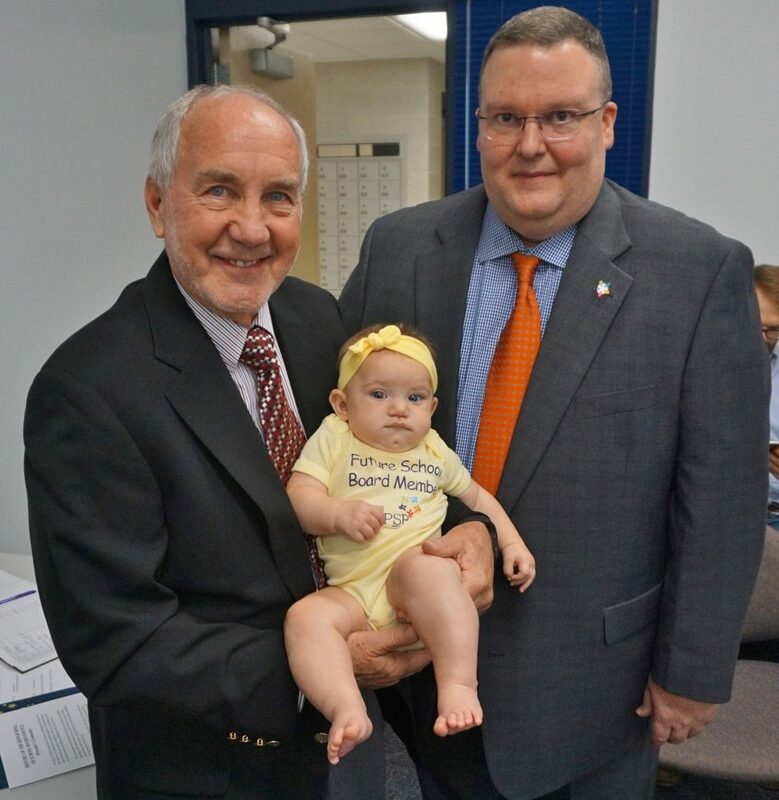 Dr. Rich Frerichs, left, with granddaughter Addy Mealy and Nathan Mains, executive director of PSBA.